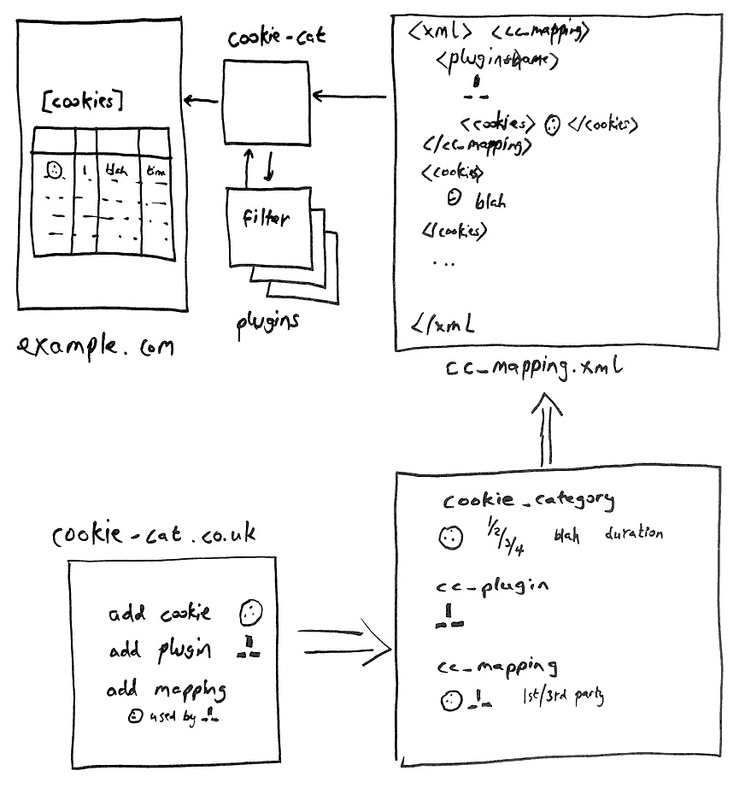 The cookie-cat plugin for WordPress is a cookie predictor. From a catalogue of known cookies and their association with WordPress plugins, components and themes (planned extension) the cookie-cat plugin is able to determine which cookies your site may serve up to your site visitors. Unlike other tools which need to visit your website to perform a cookie audit, cookie-cat determine the cookies from within your webserver. It uses standard WordPress APIs and the “knowledge base” consisting of the cookie mapping XML file and the plugins themselves. Q. Does cookie-cat scan my source files? A. NO. To find 1st party cookies we “manually” scan the code, if that’s possible. In order to find 3rd party cookies we have to use other tools and use a bit of brain power. Q. Who categorises the cookies? A. We follow the guidelines and refer to other information available about the cookies. Q. Does cookie-cat use up much computing power? A. It doesn’t have to. If you want to capture the output from the cookies shortcode use the oik options > Shortcode help page and copy the snippet it generates. You’ll have to do this each time you activate / deactivate a plugin.